Red eyes, damaged eyelids, dryness and irritation. Are you familiar with these feelings in your eyes after partying and heavy use of makeup? If so then here are our tips to maintain your eye health despite using eye makeup. Even if it is written on the package that the product is safe for the eyes, if an eyeliner contains shiny particles, then you should avoid such a product especially if you wear contact lenses. If micro particles of sparkles fall into your eyes and especially under the lens, they will irritate the cornea throughout the day. Just imagine! 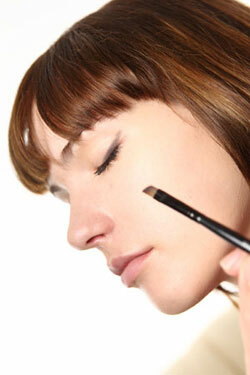 Therefore, if you want the effect of sparkles, then select the best blinking liner for the eyes. Of course it is much easier to draw with a round and soft end of the slate pencil, but the blunt end of a pencil means that you are closer to the tree, and it leads to scratching and irritation. In addition to damage to the cornea and eyelid, even the smallest particles of wood can cause allergic reactions. If you wear contact lenses, here is the procedure for using liners. First lens, and then – eyeliner and shadow. And be sure to first remove the lens in the evening, and then remove the makeup from the eyes!